Disney is inviting guests to step into the Super Hero universe during Disneyland After Dark: Heroes Assemble at Disney California Adventure park! This special after-park hours event will feature an action-packed line-up of experiences. Guests will be able to experience incredible entertainment, character encounters, event-themed food, merchandise and more—all themed to Super Hero stories. Guests will also have access to select attractions in Disney California Adventure park, such as the exhilarating Guardians of the Galaxy – Mission: BREAKOUT! They’re encouraged to come dressed in their Super Hero attire and bring their shields, hammers and suits of armor. 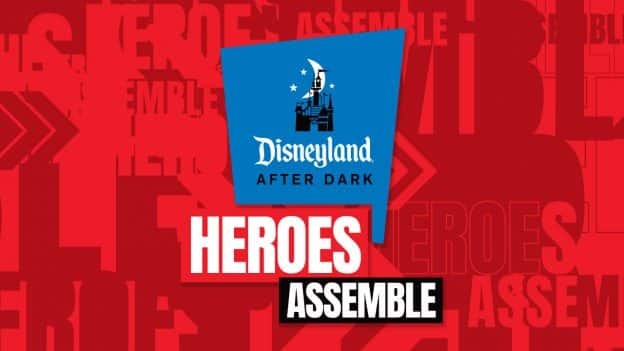 Disneyland After Dark: Heroes Assemble takes place April 30 and May 1, 2019 from 9 p.m. to 1 a.m. each night. Tickets can be purchased online or by calling (714) 781-4636 until the day before the event, or at any Disneyland Resort ticket booth until the day of the event—subject to availability. Limit eight 8 tickets per person—no discounts apply.